WASHINGTON (AP) -- Once considered so entwined that they were twin targets of a U.S. invasion, al-Qaida and elements of Afghanistan's Taliban are now being surgically separated - one careful stitch at a time. The move by the United Nations last week to remove five former Taliban members from its official sanctions list reflects a growing belief by U.S. and international officials that some less-active leaders of the Afghan Taliban are no longer tightly linked to the al-Qaida network they sheltered before the terror attacks on the United States on Sept. 11, 2001. But in paring back some of the Taliban's connections to al-Qaida, the move risks running up against the American public's ingrained perception that the Afghan faction remains a national enemy and that there is no ideological daylight between the two groups. A few other Taliban figures have been dropped from the target list in recent years, but the latest round signals a more comprehensive approach. Any large-scale tinkering with the U.N. target list would have a tangible impact on American counterterror moves: The U.S. typically has a strong behind-the-scenes role in the U.N.'s decision and the U.N. list is often used by the U.S. to identify its own targets for diplomatic and economic punishments. U.S. officials are quick to say that the decoupling is limited and proceeding carefully. Some Taliban leaders, they say, may never come off the list - such as Mullah Mohammed Omar or the leaders of the Haqqani network, which directs the fight against U.S. forces in eastern Afghanistan from the Waziristan tribal region in Pakistan. Gates ticked off "a syndicate of terrorist groups" on both sides of the Afghan-Pakistan border, including al-Qaida, Afghan and Pakistan Taliban and a number of Pakistani groups including Lashkar-e-Taiba. "So you can't say one's good and one's not good," he said recently. "They're all insidious, and safe havens for all of them need to be eliminated." Those sanctions - a travel ban, arms embargo and assets freeze - were later extended to al-Qaida, and in January 2001, the U.N. assembled its first target list of 10 al-Qaida leaders and 74 top Taliban officials. The list has grown to 268 al-Qaida and 137 Taliban figures - and is largely replicated in a similar list used by the State and Treasury Departments to pinpoint terror targets. The U.N. decision - approved by all 15 members of the Security Council - came last week after Russia dropped an objection. The driving concern of those opposing the move focuses on what would happen if the Taliban are allowed to regain any power in Afghanistan. Opponents fear that al-Qaida, including its leaders Osama bin Laden and Ayman al-Zawahiri, who are believed hiding along the Pakistan border, would be welcomed back. Richard Barrett, the head of a U.N. group that monitors the threat posed by al-Qaida and the Taliban and among those who back the decision to start removing Taliban leaders from the list, said that "in areas that have been under Taliban control for some time - there aren't al-Qaida there." "The lines are blurred between the tribal affiliations of the Taliban on both sides of the border and al-Qaida," said Juan Zarate, a top counterterrorism official in the Bush administration who is now senior adviser at the Center for Strategic and International Studies. 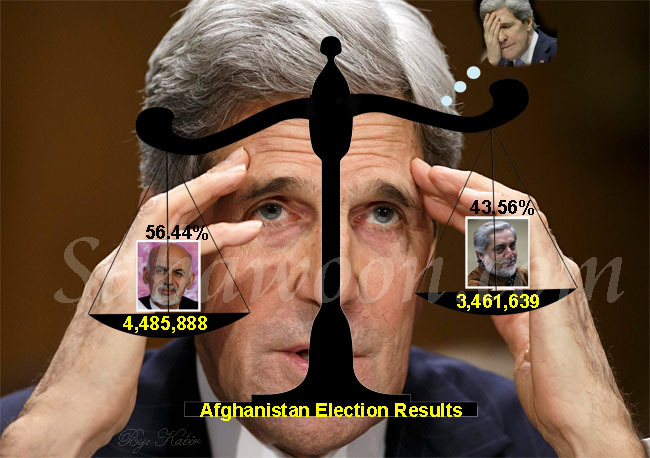 "It becomes a very difficult chess game and you need astute Afghans to help guide this. You don't want to make a deal with the wrong set of actors, you don't want to make a deal with the devil," he said. U.S. officials see a similar move as a key turning point in the Iraq conflict, says a senior Obama administration official who requested anonymity to discuss the rationale behind the strategy. U.S. forces teamed up with former Sunni insurgents to fight against al-Qaida and began an effort to absorb them into national security and other civilian jobs.